‘Portrait of an Artist’, one of David Hockney’s best known works, is to be auctioned at Christie’s next November. If its estimate of US$80 million is achieved, the Hockney work will knock Jeff Koons’ 'Balloon Dog (Orange)' off the podium as the most expensive artwork by a living artist. David Hockney (b. 1937), one of the most important English artists of our time, fell in love with Los Angeles in 1964 at the age of 25. On his first trip to the city that was to become his home, his fascination with pools was also ignited. 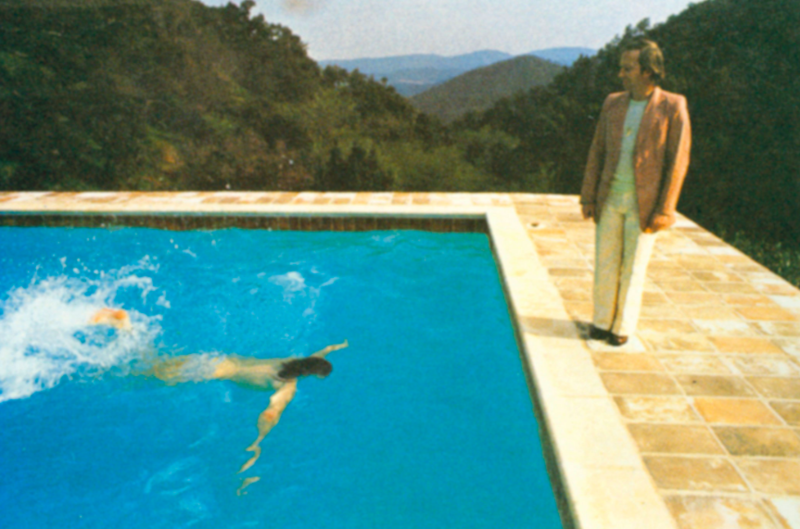 A luxury in England, but a norm in a Californian home, pools would quickly engulf his career. In 1964, Hockney began a series of experiments where he would depict water with different techniques, effects and colours – a fascination so profound that it would consumer his career for more twenty years to come. In the 1960s and '70s, after permanently relocating to Los Angeles, Hockney continued to paint pools, combining them with an exploration of homosexuality. 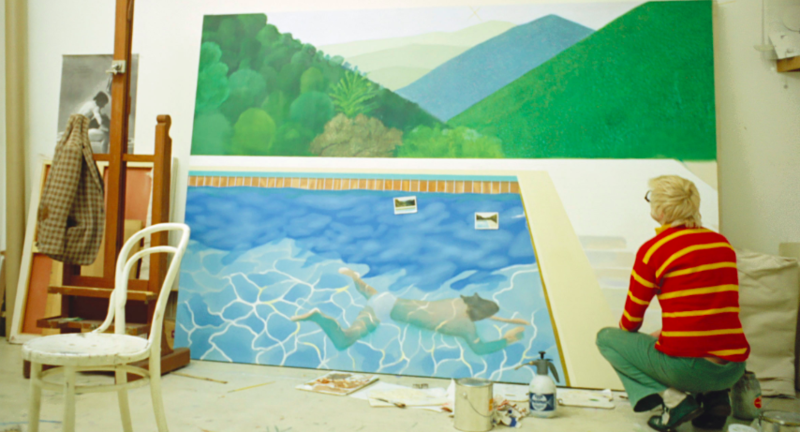 This artistic research was documented in the 1974 feature film A Bigger Splash, which would eventually culminate (after working 18 hours a day for two weeks) in Hockney's Portrait of an Artist (Pool with Two Figures). According to many, this work is the most representative of his career to date. Last year, David Hockney, the retrospective dedicated to the artist at Tate Modern, had record numbers of visitors of more than half a million. 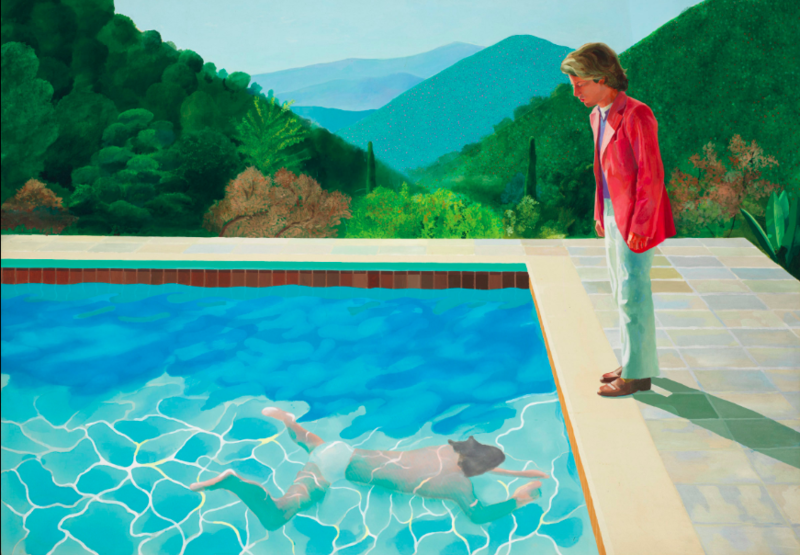 In 2018, Hockney’s pools could be worth another record. Christie’s in New York announced it is selling Portrait of an Artist (Pool with Two Figures) for US$80 million (£61 mil). If it reaches this estimate, it will become the most expensive work by a living artist. The current record is held by Balloon Dog (Orange) (1994-2000) by Jeff Koons, which sold for US$58.4 mil (£44.6 mil) in 2013. Portrait of an Artist (Pool with Two Figures) is reportedly owned by billionaire Joe Lewis, the Bahamas-based owner of Tottenham Hotspur.